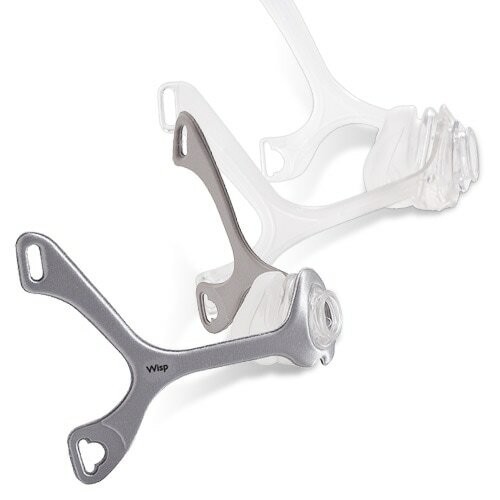 These Wisp frames from Respironics are designed for use with all Wisp CPAP/BiPAP Masks. There are two frame styles available: Clear Silicone & Gray Fabric. Usage Information: All Wisp and Wisp Youth Fabric and Silicone frames are the same size and interchangeable so any frame can be used with any Wisp or Wisp Youth mask. These frames DO NOT include the nasal cushions shown in the photograph. 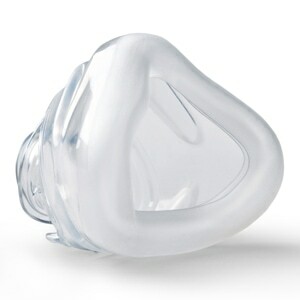 Wisp nasal cushions are available separately elsewhere on this site. Compatibly Information: This Frame is compatible with the Wisp Nasal mask only. It cannot be used with the DreamWisp Nasal Mask. The wisp is comfortable and is less expensive than other co. I have been using a bipap machine for several years now and one major issue is cleaning my face oils/sweat off the mask and frame. This wipes clean so it's not still damp in the evening when I go to bed. I wish the arms were a little shorter as I have a small face. Fit great, light weight and easy to swap out. ordered it on sunday morning it arrived by wednesday. 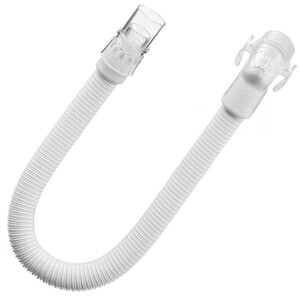 awesome will buy all cpap supplies from cpap exchange. Seems like a good frame. I think it will be ok. Haven't use it long enought to know about the Quality. Wish it didn't leave such line on face. The product arrived quickly and it was competitively priced. 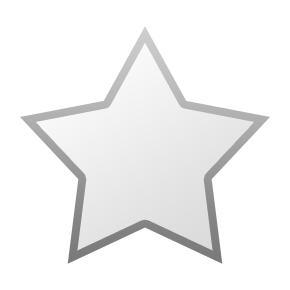 The customer service representative with whom I spoke was knowledgeable and helpful. I will definitely order from this site again. Loved the plastic wisp frame. It is not hot (does not cause sweating) and is comfortable. Further, provides a good seal and I do not wake at night because of it. Far superior to the cloth model. Seems to break off at the nozzle grommet every 4-6 months. I bought a Wisp C-PAP mask 9 mo ago and chose the heavy duty silicone mask frame for comfort and longevity. I am quite satisfied with the minimalist mask style and comfort but am disappointed that right-side has broken internally at the "Y" intersection and will soon break entirely. Being right-handed, each night I have been attaching the right closure on the right side of the frame and this has put stress on the junction resulting in the break. I don't enjoy (buying) a new frame after just 9 months but am happy that Cpapxchange has a frame for me to buy! 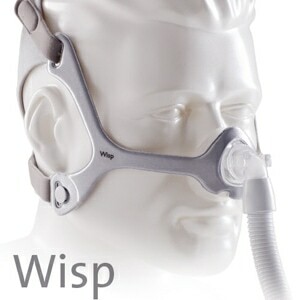 The Wisp mask frame is a good CPAP solution. It arrived from cpapXchange early and in good order. I have been using this mask type for about eighteen months and I love it because I have a petite nose and this has the option of a petite nasal mask. 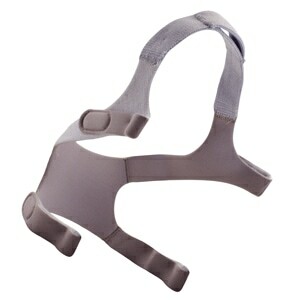 It fits well without leakage and I get a good nights sleep. Plus it has two options for mask material which should suit all needs. I originally had the fabric wisp frame. It barely lasted six months and was competely destroyed before I got my new one. The worse it got the more it allowed leakage. The new silicone wisp frame is comfortable and makes the mask stay put. I don't have any more leakage. Since I've only had it a couple of weeks I can't speak to durability. But it seems as though it will be more durable than the fabric frame. I use the Wisp mask which means I have to use the Wisp frame, I have trouble with the frame each time I get one, within about 3 months the plastic inside the soft cover breaks and that is where the problems start. The mask is then too loose so I tighten the headgear, then the mask is too tight. Seems I cannot win sometimes, but I like the way this mask works so I will keep trying to be nice to the frame and hope it holds up til I can get a new one. Prompt service and the pricing was excellent. Thank you! Product is good but the Service is even better! The frame is good but the service was EXCELLENT! Shawnna was wonderful! She not only answered my questions but when I wanted to add items, she walked me through the process. Your company's prices are good but the service is even better and that's what keeps me coming back! I wished I would of ordered the cloth one to start off with. The plastic one broke and I had not had it very long. I do like this one and it doesn't leave the marks on my face. A return to a good night's sleep! I agree with other reviews. The Wisp Masks is great, but the Frame design needs to be re-engineered. 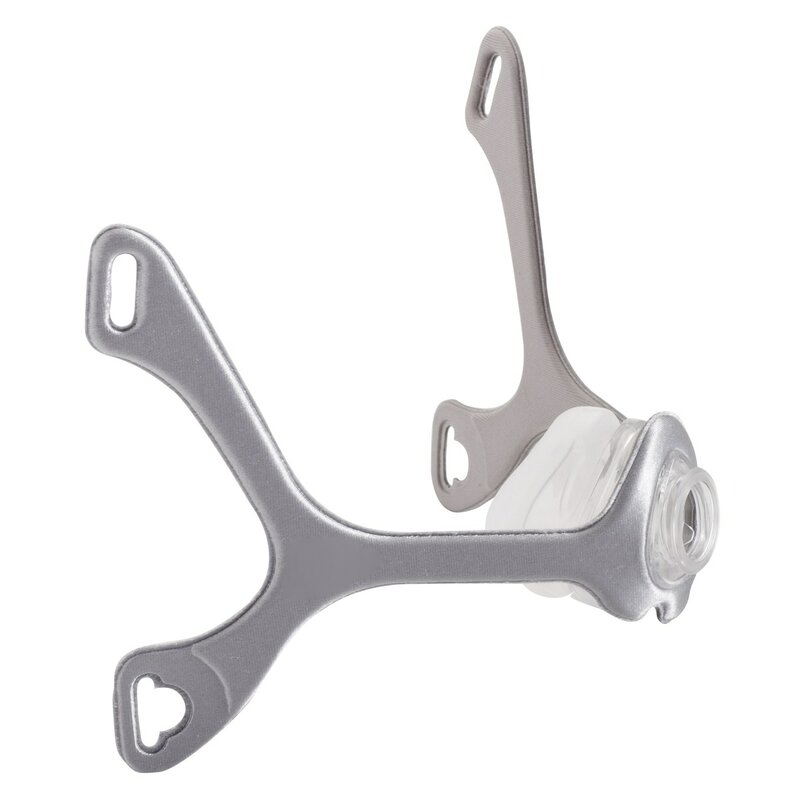 There is no way to be unsnapping the headgear from the Frame as the two little holes are very difficult to attach. I have had to just pull the headgear over my face use. This has now caused the Frame to fall apart where it attaches to the mask. I guess being overstretched when pulling over head. Whatever, lets hope that Phillips gets it right the second time around. I had the same issue. The little button holes fell apart after about a month. Not sure how anyone could make something this poor quality. The little button holes eroded away within the first month. I now use the straps instead of the little plastic button and I put the strap through the button hole instead. However, now the fabric is falling apart and I am keeping the hole together with tape so that I can keep using the head gear. Otherwise, the mask is great and I will keep using it.